Perhaps you're matching a colour scheme for a wedding. 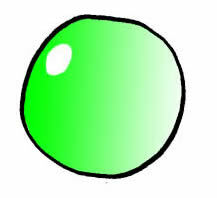 Or maybe you remember that your childhood favourite sweet was green and you can't quite remember the name. Or you're creating something for a football (or another sport's) team, where they have green in their colours. Or maybe you're planning a party. Either way, here is a selection of the sweets that we have which are either green, or they have green in them. Or in some cases the wrapping is either completely or partially green. As you can see there are a fair few for you to choose from, given that lime and especially apple sweets are naturally green. Plus there are lots of others that at least feature green as part of their makeup.